This Vinyasa Yoga class links breath to movement, creating a dynamic and powerful practice for all levels that improves breath, builds concentration, and challenges strength and flexibility. This class if safe and educational for the novice yogi and also fun and challenging for the experienced yogi. This class flows at an intermediate pace. Students with no yoga experience are encouraged to start with our Inner Beginner 6-week series. Mollie Gfrerer is a Registered Yoga Teacher who helps her students feel successful and empowered in every class they take. Her intention when teaching is to connect with her students, embrace them as they are, and tailor the class as much as possible to include their favorite feel-good poses. Mollie’s love affair with yoga began after she purchased her first yoga DVD from a garage sale in 2009. After several years of being a home-based yoga student, she decided to become a teacher, earning her Registered Yoga Teacher title in 2012. Besides yoga, Mollie loves to run, read, travel, cheer on her son at hockey games, watch her girls at dance class, and get some laughs in at family game night. To express her creative side, she likes to knit, cook, and bake. This slower-paced yoga class helps you calm down using breath, movement, stretching, and restful postures to restore the body and mind. All levels welcome. All levels welcome! This class will focus on the alignment, breath and poses to increase your yoga practice. Janice Schroeder is a Registered Yoga Teacher with an unusual backstory. Her decision to become a yoga teacher was part passion, part practicality: every time she started taking classes in Waseca, the teacher quit! Having practiced yoga on and off for 16 years, Janice decided to become the teacher she needed and earned her certificate in 2015. She loves to help others, share life experiences, and do things in surprising ways. Each of her classes is guided by how everyone is feeling and what they need. A Waseca native, Janice currently resides nearby in the country with her husband, Timothy. When she’s not spending time with him or her two sons, she enjoys spiritual reading, self-improvement classes, crafting, and drinking good coffee. New to yoga?This 6 week series is for you! Learn the basics and the safest way to move through a Vinyasa Yoga class. We suggest taking this series 1-3 times before taking Inner Flow. No yoga experience needed. This slower paced Vinyasa Yoga class is a flowing sequence of movements and focuses on moving slowly from one pose to another, with longer holds in each pose, linking the breath in and out of movement and coming into correct alignment.Slow Flow will strengthen and allow deep stretching in the body while moving to a slower rhythm of movement.This class is safe and educational for the novice yogi. This class flows at slow pace. All levels welcome. 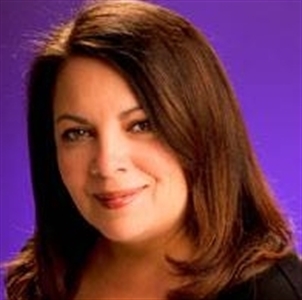 Debra Battenfeld is a gifted Psychic, Medium and Spiritual Teacher who helps individuals reconnect to their life purpose and guides them to their highest good by sharing messages given to her by Angels, Spirit Guides, Master Teachers and other loving Spirits. She has offered readings and consultations professionally for 12 years. Debra’s ability to see and communicate with those who have transitioned has brought comfort, hope and peace to many people who leave each session knowing their loved ones still care and love them from the Other Side. Compassion, unconditional love, respect and understanding anchor her work with clients for she recognizes the eternal light that burns within each one of us. 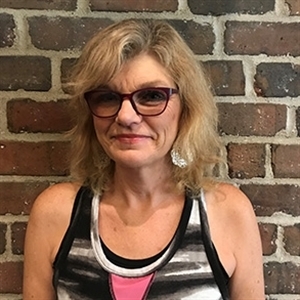 Prior to moving to Waseca and joining our team at Awaken Vibrance, Debra was a former co-owner of the Minneapolis-based company Psychics in the Cities. She also founded The Practice Circle, a spiritual gathering located at Lake Harriet Spiritual Community in Minneapolis, which she led for over 12 years before stepping down in June 2018. It successfully continues to this day. Helping others has always been part of her life’s work as she also spent 25 years as a part-time professional nanny in Portland, Oregon and in Minneapolis, as well as 10 years as a part-time personal care attendant for children with Asperger's. Debra loves moon and star gazing and being out in nature. One of her greatest delights is creating and writing children's stories and listening to the magic of children's laughter and joy. Come replenish your peace and energy during this busy time of year. This 75-minute restorative practice uses props and the prolonged holding of a few poses to achieve a deep level of relaxation and meditation. Restorative yoga is soothing to the nervous system and encourages mindfulness. 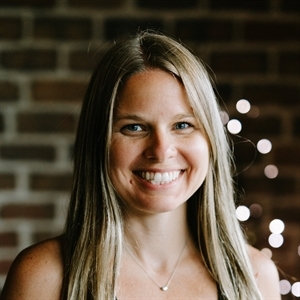 Angie Grotberg is a Registered Yoga Teacher who is passionate about sharing the mind-body benefits of yoga with others who seek a holistic, healthier way of living. Using a laid back teaching approach, she gets to know her students on a deeper level, learning just as much from them as they learn from her. She specializes in teaching restorative yoga classes that focus on using props to stay in poses for extended periods of time. 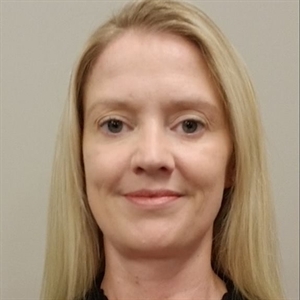 In addition to teaching yoga, Angie currently serves as a Police Lieutenant for the Waseca Police Department, and has worked in the public service sector of government for almost 18 years. Outside of work and yoga, Angie loves spending time with her children, family and friends. As an outdoor enthusiast, she also enjoys playing sports, riding motorcycle and ATVs, and traveling.